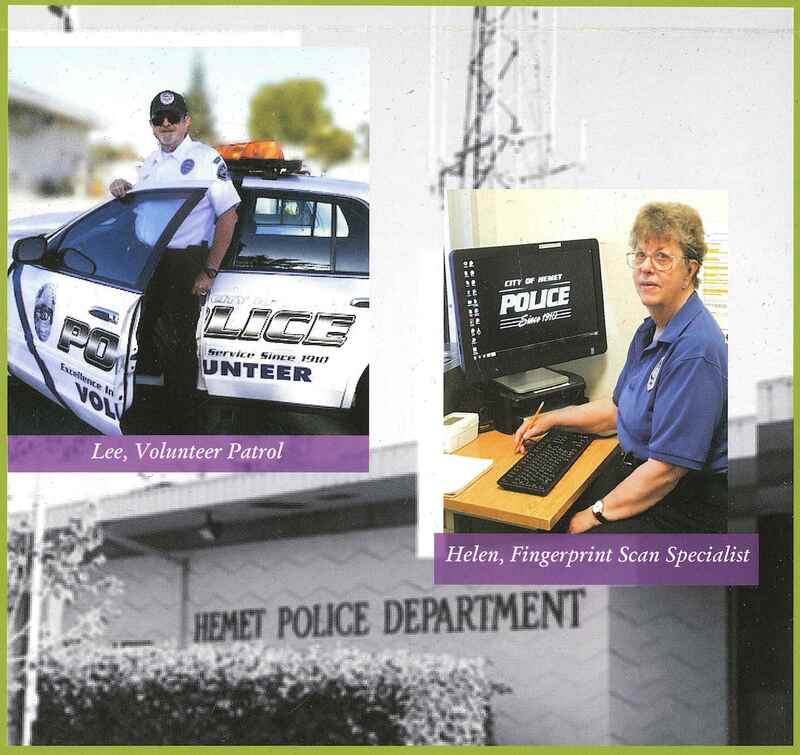 The Hemet Police Department Volunteer Program was created in 1993 as a way for citizens to supplement the Hemet Police Department’s sworn officers. The intention of the program is for volunteers to perform certain tasks that otherwise would be performed by sworn police officers and thereby allowing the police officer to spend more time on the streets. Hemet Police Volunteers sign up to work in the fields that interest them most and they are most comfortable in. They bring years of experience to our Department and are not forced into working in an area they are not suited for or do not enjoy. They choose from working in records, patrol, vehicle maintenance, neighborhood watch, sub-stations, special events, and much more. The volunteer program is coordinated by Robin Rickert, a Hemet PD Volunteer herself. Robin is supervised by Sergeant Derek Maddox. There are currently over 70 active volunteers in the Hemet Police Department Volunteer program. Individuals interested in becoming a Hemet Police Volunteer can obtain an application online.